Whether you’re buying, selling or staying put, Toronto Real Estate is something that almost everybody talks about – so much so that Toronto Life has put out an issue dedicated to it! 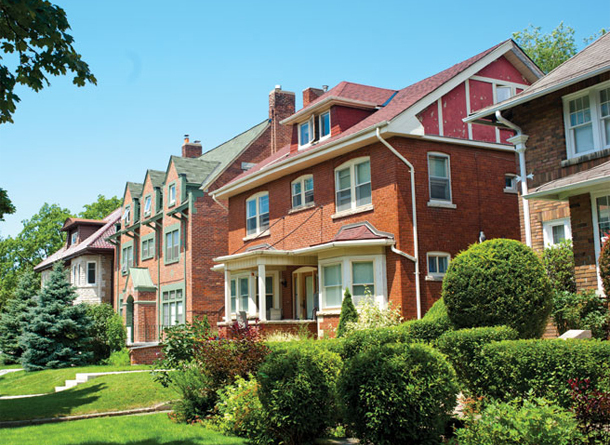 This particular article highlights a dozen neighbourhoods with homes for a range of budgets. For those just breaking into the market, they suggest looking at Birch Cliff, West Don Lands and Rockcliffe-Smythe because detached homes can be had for under $500,000. For those trading up, Wallace Emerson, Mount Pleasant East and Woodbine Heights. Wallace Emerson is near a subway station (but also near Landsowne), Toronto Life predicts Mount Pleasant East homes will rise in value once the Eglinton LRT is up and running. Woodbine Heights now has a Starbucks, which means gentrification can’t be far away. Trading way up? Check out Parkdale, Seaton Village and the Downtown core, where detached homes are over $1.2 million and a family size condo will run you the same amount. For the wealthy, there’s Swansea, Rosedale and Wychwood. I’m surprised Toronto Life went with Rosedale, because that seems like an obvious choice. Homes in these neighbourhoods sell from upwards of $1.25M to over $10M because they offer all the amenities that everybody wants – good schools, close to shopping, restaurants and they are close to transit. Wychwood may not have a subway station, but they do have the St. Clair right of way.